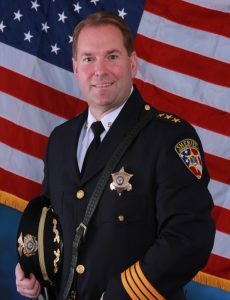 Freehold: Shaun Golden has been re-elected to serve as Monmouth County Sheriff for a third three-year term. The Monmouth County Sheriff’s Office consists of five divisions, which include law enforcement, communications, corrections, emergency management and the Monmouth County Police Academy. Sheriff Golden leads the 609 officers and employees dedicated to serving the public safety needs throughout Monmouth County. 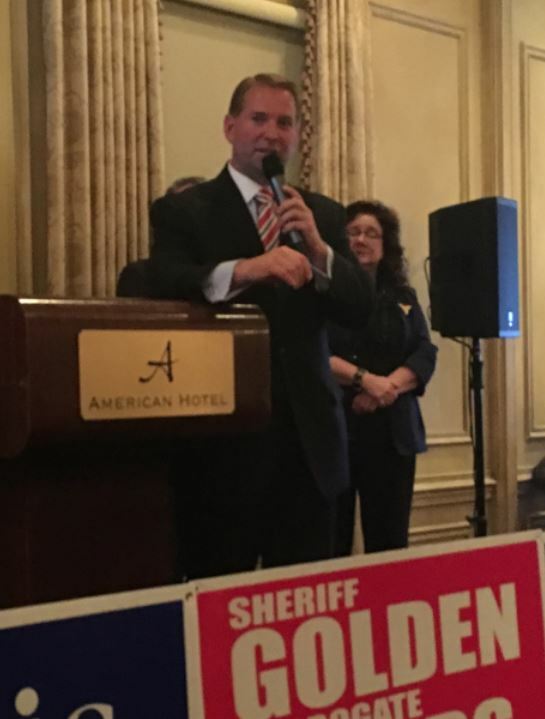 “I’m honored to have been re-elected to a third term as Monmouth County Sheriff and it’s my privilege and duty to continue to serve all who live, work or visit this great county, in the safest, most effective and efficient manner for another three years,” said Sheriff Golden. Through Sheriff Golden’s leadership skills, public safety initiatives and innovative approaches the last two terms, the Monmouth County Sheriff’s Office now serves as a model for other agencies to follow. The sheriff has bolstered homeland security issues and counterterrorism efforts with state, county and local law enforcement agencies, to maintain the safety and security of residents and visitors throughout Monmouth County. He is a leader in the fight against drug abuse and has an integral role in prevention. He continues to address the issue of school violence through consistent active shooter drills and training, and, has established numerous initiatives in keeping our youths and seniors safe. The sheriff is active in assisting veterans by providing them access to needed services and programs as well as training them to help in emergency management operations. He is also an advocate for the special needs community by implementing and developing programs for families of children with autism and special needs residents. In addition, the sheriff has been recognized for his extensive public safety outreach programs which are a costs savings to communities, and, he has taken effective steps to cut spending throughout the agency. Through Sheriff Golden’s advanced technological strategies, he has enabled first responders to operate at a higher level. The use of state of the art technology and interoperability have enhanced shared services and provided more efficient and effective services. Furthermore, the Monmouth County Sheriff’s Office, Office of Emergency Management, continues to lead the way in emergency and disaster response. The Monmouth County Sheriff’s Office is the only law enforcement agency in New Jersey with accreditations in all five areas of operation, which include law enforcement, communications, corrections, correctional healthcare and public safety training of the Monmouth County Police Academy. Sheriff Golden began his career at the sheriff’s office as the undersheriff in charge of the Monmouth County 9-1-1 Communications Center. He was then appointed acting sheriff when former Sheriff Kim Guadagno became New Jersey’s first lieutenant governor. He is a lifelong resident of Monmouth County with 25 years in public safety service, starting out as a police officer with the Colts Neck Police Department before moving on to the Toms River Police Department, in that same capacity. Sheriff Golden worked as a certified paramedic for MONOC, serving Monmouth and Ocean Counties, and was a volunteer firefighter and EMT. He holds a master’s degree in administration from Seton Hall University, is a NJ Certified Public Manager, and an adjunct professor at Monmouth University. Sheriff Golden is on the Executive Board of the Constitutional Officer’s Association of New Jersey (COANJ), and served as past President, Executive Board of the Sheriff’s Association of New Jersey (SANJ), where he currently serves as the Secretary. He has received numerous certifications and awards in community service, incident command, homeland security and emergency management initiatives.